Having reviewed this case, I would like to offer some suggestions to help optimize the results from ab25024. 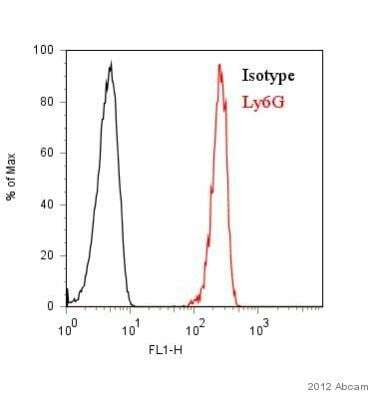 I would also appreciate if you can confirm some further details: 1) I see in your details that you are using 0.75ul (0.375ug) of antibody for your stain. 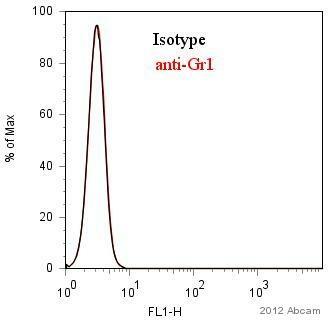 We recommend use of 1ug (2ul) of antibody per 1x10^6 cells, have you attempted to use a higher concentration (2ul) per sample? 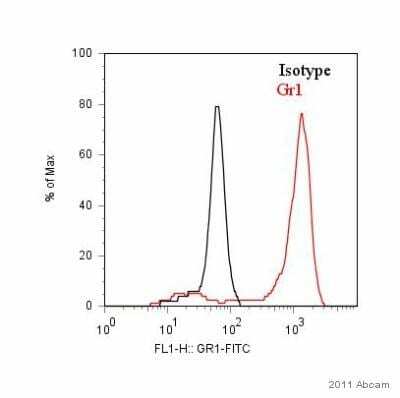 2) Longer incubation may be necessary for optimal binding of the antibody in your samples. We would recommend trying a 45 minute of 1 hour incubation to give this item more time to bind the expressed Ly6g. 3) Wash the cells 3 X by centrifugation in FACS buffer at 400 g for 5 minutes and resuspend them in 500 µl to 1 ml of ice cold FACS buffer and store cold in dark until analysis. 4) The light fixation may also be interfering with this product, have you have the chance to run this without using 1% pfa? Thank you for submitting an Abreview for ab25024. As you may have noticed, your review has now been published on our website. 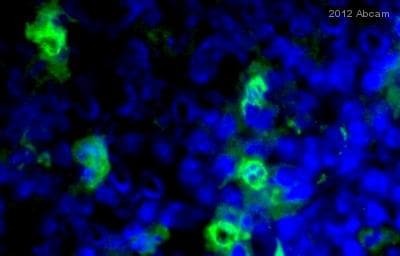 Since you obtained poor results using the antibody in an untested species (dog), we would like to follow up on this to see if we can possibly improve the results you are seeing with this antibody. 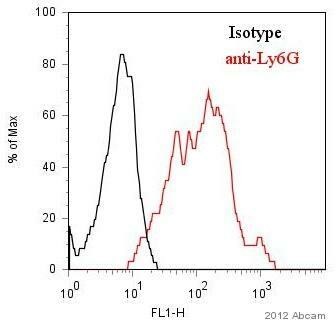 - fix with PFA after incubation with the primary antibody - if you haven't done that already. 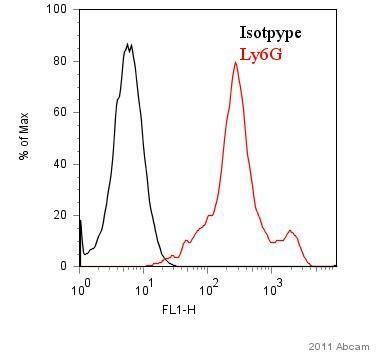 It could also just be the case that the antibody does not work for dog samples due to potential low homology. If you decide to follow these suggestions, please let me know if they are helpful. What isotype control was used in the data shown on the online datasheet? I have now had the Rat IgG1 (FITC) isotype control added to our catalog, ab128477. Thank you for contacting Abcam regarding ab25024. I am working to have the appropriate isotype control added to our catalog for you to purchase. I will provide the ordering details as soon as they are available.